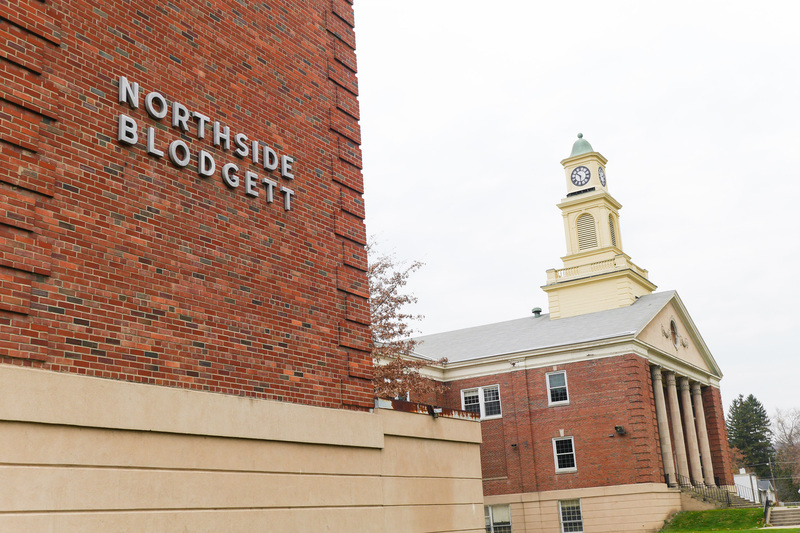 So What’s Really Happening With Northside Blodgett? In the last several months, you may have noticed a lot of conversations taking place around the fate and future of the former Northside Blodgett Middle School. What?s happening? Why is it being torn down? What will replace it? Who?s in charge? These are all valid questions and, as with any new project, some curiosity is warranted. Additionally, there also seems to be some misinformation being spread online, which has resulted in unfair and unfounded rumors. We took it upon ourselves to do a little research, to make sure the most accurate, up-to-date information is available in a single place. June 2014 – The Corning-Painted Post School District officially closed the Northside Blodgett Middle School. There was some initial interest from developers regarding the possibility of converting the building to apartments; that was judged not economically feasible and so no deal was struck. July 2015 – The school district lowered the asking price for the location from $950,000 to $595,000 in an effort to entice developers interested in the property. June 2016 – Arbor Housing & Development made a formal offer to the Corning-Painted Post School District to purchase the former middle school for $200,000. The bid was accepted by the school board, with final approval pending a vote. September 2016 – On September 20th, voters throughout the Corning-Painted Post School District overwhelmingly approved the sale of the building to Arbor Housing & Development, knowing the location would be transformed into lots for single-family market rate homes. The sale was approved with 77% of voters voting in favor of the plan. February 2017 – The City of Corning received a $480,150 Restore-NY grant, to ensure that plans to raze Northside Blodgett Middle School moved forward. March 2017 – ?The city began to consider designating the property as a planned development district – setting parameters as to what kind of residential development could occur at that site. That designation is still under discussion as part of the zoning update now being undertaken by the City of Corning. The zoning update is in the study phase, and should be complete by March 2018. September 2017 – School district officials announced plans to meet with Arbor Housing & Development to talk about the future of the Northside Blodgett Middle School?s clock tower. November 2017 – Demolition began at the site. On Monday, November 26th, Neally-DeJong crews began to raze the building. The demolition is expected to be completed within three months. 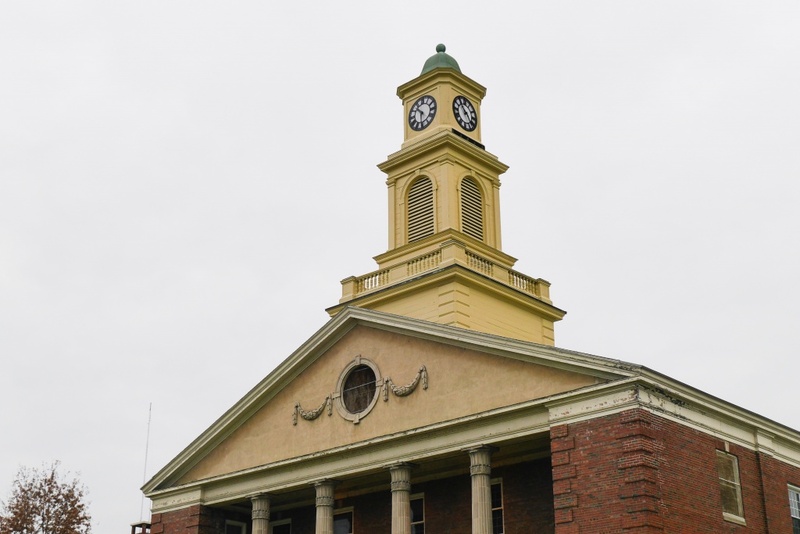 February 2018 -?Neally-DeJong crews determined that the Middle School’s clock tower was unsalvageable, due to extreme rot and deterioration. As articles and posts circulated throughout the news and social media, some threads began to take on a life of their own. The primary facts were muddied and it has become difficult to divide the rumors from the truth. Urban Corning looked through the comment sections to tackle three of the most common misconceptions about this project. ?No one thought to preserve the building.? Preserving the Northside Blodgett Middle School was *technically* a possible option, of course, just not a feasible one. Some people believed that the building?s structure could remain intact, while being converted into a new apartment building – like what was done at the former Corning Free Academy (now Academy Place Apartments). In an interview with WETM, District Superintendent Mike Ginalski explained why trying to convert the building into an apartment complex was not feasible. ?The lots won?t actually be affordable.? After demolition, Arbor Housing & Development plans to create one vacant lot that is developable for twenty-six single family market-rate homes. City of Corning officials say there is a need for more market-rate single family homes in the city and that Arbor?s project fits in with the city’s new housing strategy plan. Lately, a rumor has circulated that the individual lots will cost upwards of $500,000. We can confidently assure you that this is absolutely false. The original plan was to build homes on the lots for around $150,000 to $175,000. It has recently been confirmed that that figure has increased slightly, though it is nowhere near the half million dollar mark. The range for building the homes is currently projected at around $200,000 to $225,000 per lot. Arbor Housing & Development says the price increase accounts for things like the cost of the land and utility hookups. Additionally, the homes are now being designed at 1,500 square feet, as opposed to the original 1,200 square feet, in response to a market survey. In an interview with WENY, the organization expressed that it is not concerned that the increase will affect the affordability of the new properties. ?The school?s clock tower will be lost forever.? In September of 2017, it was made public that the clock tower will likely be removed in pieces and put in storage until a final decision of what to do with the historic structure is actually made. ?One idea called for taking down the clock piece and the cap (of the clock tower) to create a monument inside of one of the district?s school buildings. This idea was feasible, and would have prevented the clock tower from suffering any potential damage by being outdoors and exposed to the elements. In early February of 2018, crews from?Neally-DeJong determined that the structure of the clock tower was in too poor of a condition to be removed in pieces and stored. The structure was described as being too rotted and deteriorated, and therefore unsalvageable. A new plan calls to remove and save the clock faces. Superintendent Mike Ginalski explained this to the Corning Leader. ?It?s too bad. I know how much it meant to some people. As I?ve stated throughout, we will continue to work with the Northside High School Alumni Association. It may be easier, from a financial standpoint, to design something for the clock faces.? Arbor Housing and Development is now the lead organization on this project and was eager to answer our questions. The friendly staff works out of the organization’s building on Bridge Street to manage housing, development, revitalization projects, and more all throughout Corning and the surrounding region. The programs at Arbor are aimed at all levels of income and styles of housing – and their mission is to improve the quality of life in communities by building independence. They are happy to answer and address any additional questions about Northside Blodgett through the organization’s Facebook page or by calling them directly at?607-654-7487. Logan is a typical twenty-something, with the not so typical soul of an old man. 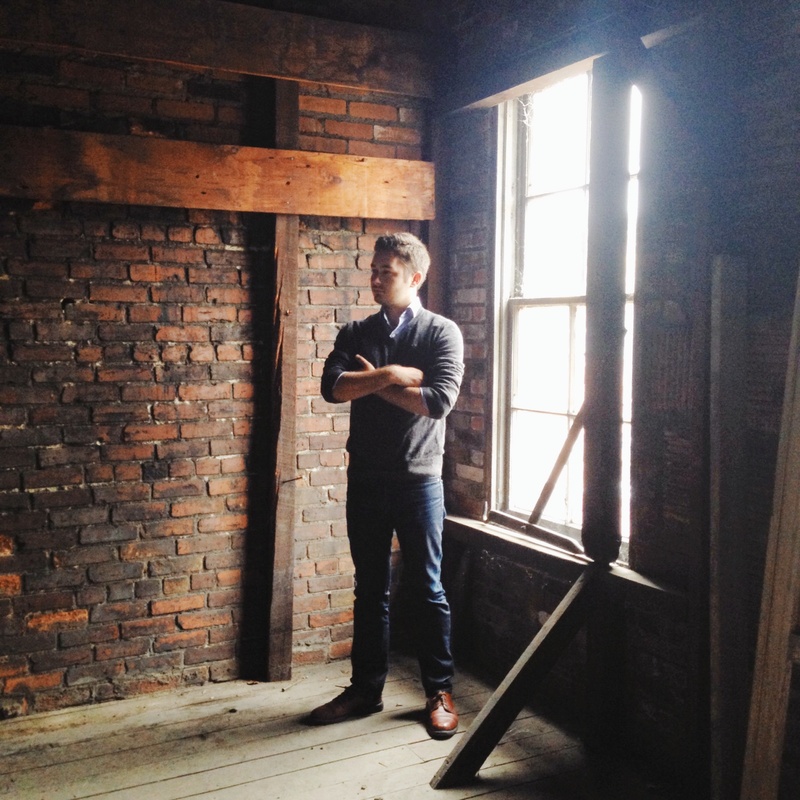 He enjoys wandering throughout Upstate New York in the search for the perfect cup of coffee. You can join in on his adventures, on both Twitter and Instagram, by following @LoganSweet369.